The HLK-31020 Water Jet, has been developed to assist in cleaning tasks needed on many sub-sea structures before intervention. 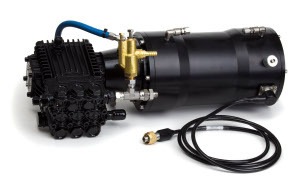 Driven by a 3 phase motor, the pump can deliver 12.5 litres per minute at 110 bar, though an orbital nozzle. The nozzle can be deployed by a manipulator or fixed on the ROV and directed by the ROV itself. The HLK-31050 Suction Pump is a compact Venturri device designed to provide controlled flows for suction anchor installation and removal. 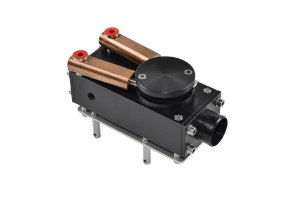 Together with the HLK-3100 Water Jet it can be fitted to the smaller ROV's, either within the frame or skid mounted. This enables suction tasks as well as jetting in one package.